The 6007 Memorial Condominiums are located 3.5 miles west of Downtown Houston in the 77007 zip code. This residential condo building is in close proximity to Memorial Park and Rice Military. 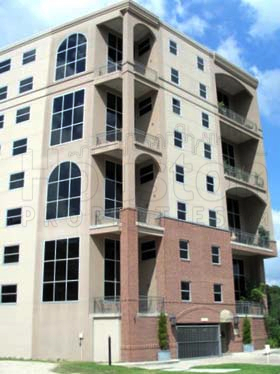 6007 Memorial Condominiums are conveniently located in Houston’s Inner Loop. 6007 Memorial condos for sale owners are also just a stone’s throw away from the Memorial Park area, along with the numerous restaurants, bars, cafes, and shopping outlets near Rice Military. Lastly, 6007 Memorial Condos is located about 10-15 minutes from Houston’s Galleria. The 6007 Memorial condos for sale are generously spacious, have 18-ft. ceilings, custom closets and bathroom, and ample wall space. Prices start at $200,000 and can go around $900,000. This is relatively more affordable compared to other condos for sale in Houston. This high-end Houston mid-rise building is located at 6007 Memorial in Houston TX, 77007, close to Memorial Park and River Oaks. E mail Paige@HoustonProperties.com for more information on 6007 Memorial Houston Tx or call 713-384-5177 to arrange a Houston condo tour today.